The Caledonian Canal connects the Scottish east coast at Inverness with the west coast at Corpach near Fort William in Scotland. The canal was constructed in the early nineteenth century by Scottish engineer Thomas Telford. 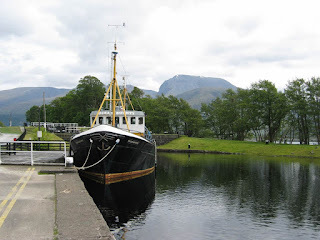 Phil's talk will follow the journey up and down the Caledonian canal, noting points of interest, and discussing the history of it's construction.